We are seeking an experienced Christian pastor who will assume the lead on a variety of church duties and ministries, so the senior pastor can fulfill his role as the primary spiritual leader and teacher of the church. The assisting pastor will also be the pastoral leader over the Youth and Children's ministry. Personal Requirements: The assisting pastor's spiritual life, character, demeanor, and attitude must always represent Christ and His church. He must be a man who has shown himself to be a servant-leader, is called by God to serve the congregation at VCC, is in agreement with our Tenants of Faith, and meets the qualifications of a pastor as cited in the VCC By-Laws. Attend both Sunday morning services, as well as Wednesday evening Bible study. Participate in services as designated by senior pastor. This may include making announcements, praying for the offering, leading communion, or teaching. Provide oversight, leadership, and vision for the Jr. & Sr. high youth ministry. This may include teaching a youth service at one Sunday morning service and one weeknight meeting. Supervise and partner with the Children's Ministry director to provide a coordinated and integrated family ministry for VCC congregants with children. Responsible for the management and maintenance of the facility. Oversee bookkeeping and financial records as requested by senior pastor and in conjunction with official bookkeeper. Lead pastor for visitor outreach and home and hospital visitations for church congregants. Participate in teaching Bible studies, small groups, etc. as requested by senior pastor. Complete other tasks or assignments as directed by the senior pastor. The assisting pastor will support the senior pastor in his role as lead administrator of the VCC School and Daycare. 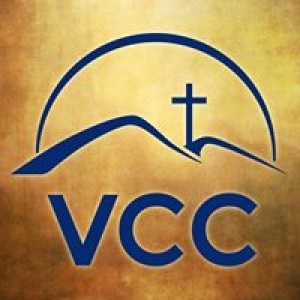 Valley Community Chapel of Yucca Valley is a non-denominational Christian fellowship. Pastor Tom Aversa has been Senior pastor of VCC since 2005. The mission of VCC is to draw people to Jesus Christ, disciple them in God's Word, and deploy them to serve Christ. The result is that our church is Christ-centered, inwardly strong and outwardly focused. At least 5 years of pastoral ministry experience, including pulpit teaching. Bachelor's degree and/or Bible college/Seminary training. Demonstrates effective level of oral and written communication skills. Ability to work cooperatively in a team environment. Motivated, organized, able to follow through. Ability to facilitate, motivate, inspire and lead teams of volunteers. Must pass all screening and background checks.